It has been repeatedly said that Jawaharlal Nehru was unanimously elected as the first Prime Minister of India and was the darling of the country. The documents and facts speak completely opposite. Maulana Azad was elected Congress president in the Ramgarh Session in 1940. Because of various factors like World War II, Quit India Movement and most of the Congress leaders being in jails, Azad continued to be the Congress president until April 1946. As the war was coming to an end, it was becoming clear that India’s freedom is not very far. It was also very clear that the Congress president, shall be invited to form the interim government at the Centre — due to the number of seats in the Central Assembly the Congress had won in 1946 elections. This “agonised Azad’s close friend and colleague Jawaharlal who had his own expectations.” However, on 20 April 1946, Gandhiji made his choice known in the favour of Nehru. Despite Gandhiji’s open support for Jawaharlal Nehru, the Congress party overwhelmingly wanted Sardar Vallabhbhai Patel as the president and consequently the first Prime Minister of India, because Patel was considered “a great executive, organizer and leader” with his feet firmly on the ground. At that time only the Pradesh Congress Committees could nominate and elect the Congress president. And April 29, 1946 was the last date for the nominations for the post of the Congress president, and thereby the first Prime Minister of India. A perusal of the Congress party documents shows that despite Gandhiji having made his choice known, 12 out of 15 Pradesh Congress Committees nominated Sardar Patel. The remaining three abstained from nomination process. Thus, no Pradesh Congress Committee, the only legitimate body to nominate and elect the President, nominated Jawaharlal Nehru. This remark of Gandhiji was met by Jawaharlal with “complete silence”. Once Gandhiji was informed that “Jawaharlal will not take the second place”, he asked Patel to withdraw. Rajendra Prasad lamented that Gandhiji “had once again sacrificed his trusted lieutenant for the sake of the “glamorous Nehru” and further feared that “Nehru would follow the British ways”. When Rajendra Prasad was using the phrase “once again”, he indeed was referring to the denial of Congress president-ship to Patel in 1929, 1937 and 1946 in preference to Nehru; and always at the last moment. “After weighing the pros and cons I came to the conclusion that the election of Sardar Patel would not be desirable in the existing circumstances. 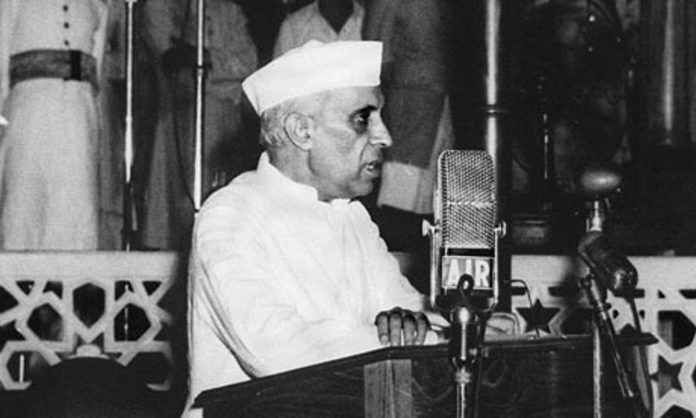 Taking all facts into consideration it seemed to me that Jawaharlal should be the new President…. “In accordance with the time-honoured practice of rotating the Presidency, Patel was in line for the post. Fifteen years had elapsed since he presided over the Karachi session whereas Nehru had presided at Lucknow and Ferozpur in 1936 and 1937. Moreover, Patel was the overwhelming choice of the Provincial Congress Committees…. Nehru’s ‘election’ was due to Gandhi’s intervention. Patel was persuaded to step down…. Prof. Makkhan Lal is Founder Director of Delhi Institute of Heritage Research and Management and currently Distinguished Fellow at Vivekananda International Foundation. Sardar Patel died in December 1950. Jawaharlal Nehru would have still been the prime minister afterward. You were saying something about 10-year history being different? It is a complete work of fiction derived from the people who are struggling to identify the postion of their ideolog’s contribution in Indian Independence movement. They are giving wrong hypothetical positioning of two great indian politician ,and draging them against each other when they are not alive . more or less they are misguiding todays youth with altered cooked history . Who is Makhan Lal to decide who has right to nominate Congress President? Like Birthers Movement, this is pathetic attempt to discredit Nehru. Jawaharlal Nehru became because Congress won 70% seats under his own Presidency- not because PCCs said so. In India PCCs don’t elect PMs. If that’s the case, Rahul Gandhi would be the PM now. Nobody in right would ever claim any PM elected unanimously. That’s not how Indian democracy works. PM has to enjoy at least 50% support in Lok Sabha (then called Constituent Assembly. Congress had 70% seats which means other parties had 30 percent. So PM could never be unanimous. I don’t know who the author is. It was party president election. Not PM election. How can 15 ppl decide PM of new country. Sardar got more votes because he had been party president only once where was Nehru git 2 chance. Author should know party president candidature was on round basis. Everyone got chance once, twice or thrice ar max. Voting were based on that lines only. Sardar got more votes. When gandhiji suggested party president should PM candidate, Sardar candidature was withdrawn since he was never in PM race. Lies have been repeated thousand times now it soundslike truth. Even today we are bearing Nehru’s blunders. Not only his but his hierarchy is making a fool of us now. The article is totally wrong and not based on facts.In a democracy who becomes the Prime Minister? The person who gets the mandate of the people.Jawaharlal Nehru was the most charismatic political leader of the country at that time.Gandhi ji was not a political leader.He never fought an election in his life time.Patel was never in contention and Nehru’s choice was automatic.Nehru remains the most popular leader the World has ever seen. He won 3 consecutive elections with two thirds majority.By the way when country got independence, not Neheru but Shri J.B.Kripalini was the congress president. बेहद शानदार और प्रभावशाली तरीके से सही तथ्यों को सामने लाकर इतिहास की वास्तविकता से परिचय कराने हेतु धन्यवाद … प्रो. माखनलाल जी आपका ये प्रयास अत्यंत सराहनीय है… उम्मीद है आपकी लेखनी हमें आगे भी एेसी ही तमाम जानकारियों से रूबरू कराती रहेगी…. Really amazing !! JLN was not the choice but elected unfairly and Sardar Patel was compelled to go back inspite of most voted,deserved and liked person. Though perception was created that JLN was only deserving , suitable, and capable candidate for PM. The history must be shown as it is to all. India lost half of Kashmir, lost war with China and is engulfed with Kashmir problem because country was administered inefficiently. Mahatma might have done everything in good faith but his faith was betrayed. In politics number always matters but manipulation and blackmail matters much more. That was a bad choice to place nehru as pm and we have been paying the price for the past 60+years. sources:has been given in the last by writer itself………..
Pt. Nehru was not President of Congress when he became 1st Prime Minister of India on 15th August 1947. Tragedy is interference by Mahatma Gandhi when he was technically not a congress member. It shows that he did neither care for laid out procedure nor for majority. He behaved in similar fashion when he ousted duly elected Subhash Chadra Bose.